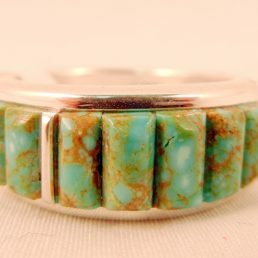 Palms Trading Company has an unmatched selection of authentic turquoise jewelry rings. 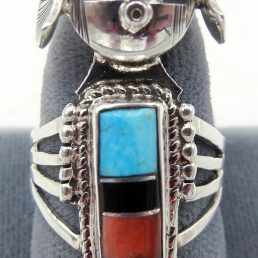 Native American turquoise rings are created with high quality materials like sterling silver and genuine semi-precious stones. 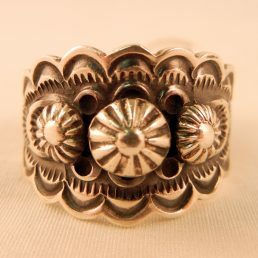 Representative of the artist’s unique heritage, vision and talent, these jewelry pieces are subtle ways to add distinctive Southwest flair to your individual style. 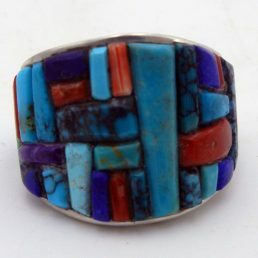 Handmade by Navajo and Zuni artisans, turquoise rings are created as individual pieces. 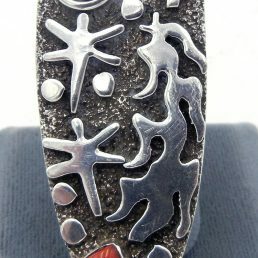 Because they are one-of-a-kind, they are made to whichever ring size the artist desired. Thankfully, with such a large selection available, the friendly staff at Palms can help fit you with a ring that matches your size and style. 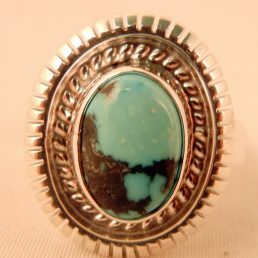 All the turquoise stones used in our rings are natural gems. 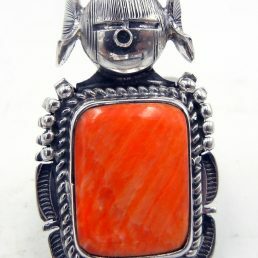 While the color of these beautiful stones has made them a hallmark of the Southwestern Native American style, they do have the potential to change over time. Exposure to environmental elements and the absorption of body oils and lotions can naturally darken the otherwise bright gems. 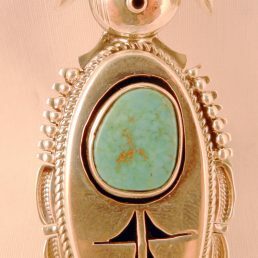 Because of their sensitivity, turquoise should never be dipped in water or any other liquid or solution. 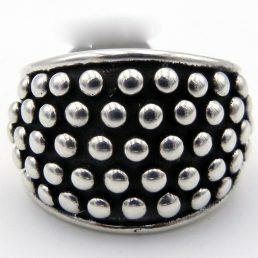 When caring for the sterling silver around the stones, do not soak or submerge the jewelry at all. 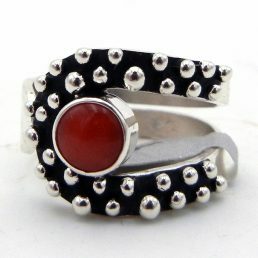 Instead, use a polishing cloth to gently clean the stone and the silver. Rough rubbing or scraping can damage the silver and loosen the stones from their setting. Our helpful associates are very knowledgeable about all our delicate gems and can provide you with more useful cleaning tips to keep your jewelry in sparkling condition.